The walk up Mt Climie is a rather steep slog up a forest covered 4WD road, but the summit provides great views of the Hutt Valley, the Wairarapa, and across to the South Island. It’s proximity to Wellington is also very handy for weekend peak baggers. By Car From Wellington, take State Highway 2 all the way north past Upper Hutt, as if you were going over the Rimutakas. Just past Birchville (on the left), take the right hand turn into Plateau Rd, which is indicated by numerous signposts, including one to Tunnel Gulley. Take the second road on the left and go up the hill to continue along Plateau Rd. Just after the residential area, the road will narrow and cross a small brige as you enter the Tunnel Gulley Recreation Area. Follow the road all the way to the end – turn left at the first car parking area, and curve up the hill until you reach the second and final carpark. Public Transport If you’re up for an extra 2km of walking, the Mt Climie starting point can be reached by public transport. From Wellington central railway station, take the Upper Hutt line and get off at the Upper Hutt station. Trains run at least every half hour 7 days a week. From the train station you can catch Bus 112 to Te Marua (hourly Mon to Sat) and get off at the last stop at the end of Plateau Rd. See MetLink for more information. Walk from here into the Tunnel Gulley Recreation Area. Taxis are also likely to be available at the Upper Hutt train station. This walk starts from the beautiful picnic area at the upper Plateau Road end carpark, in the Tunnel Gully Recreation Area. Be aware that this gully is a very sheltered sunny spot, and don’t judge your clothing requirements based on the temperature in the carpark! 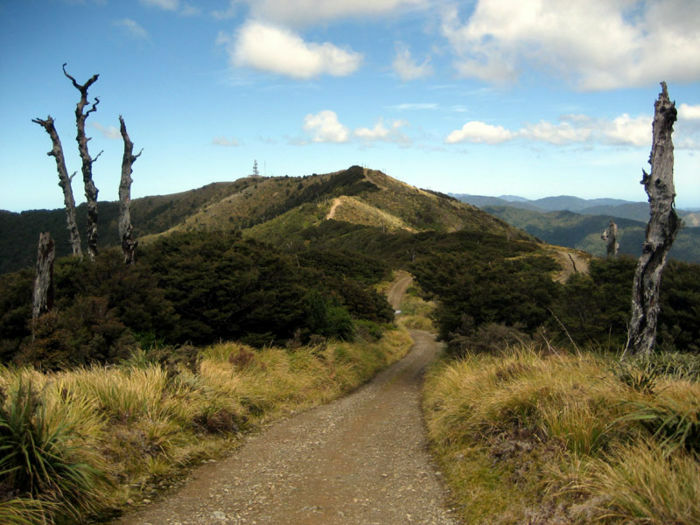 You need to be prepared for the possibility of much cooler winds to slice through you once on the Rimutaka ridge line (though that advice applies to any peak expedition!). 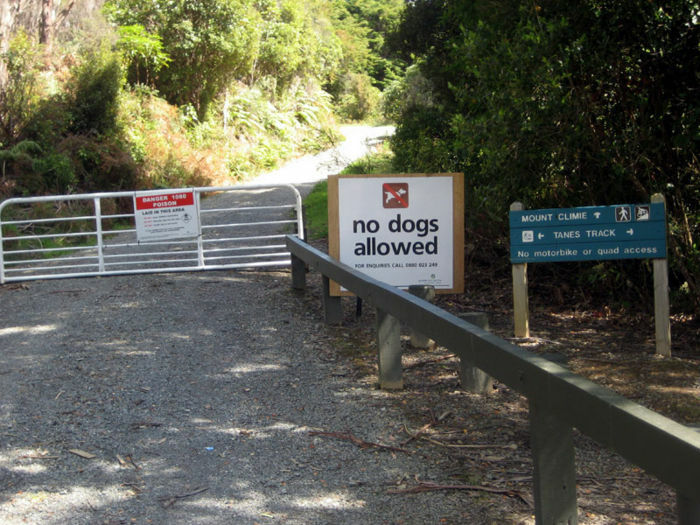 Taking note of the huge ‘NO DOGS’ sign, exit the carpark through the locked gate and begin your ascent up the 4WD service road. This road is well surfaced and maintained, and is generally an easy surface to walk on. You do need to watch out for the occasional mountain biker or service vehicle however. After about 15 minutes you will reach a sign that indicates a route to Maymorn down the firebreak. Simply continue up the road (to your left) and just keep on plodding upwards for the next 90 minutes. The road is pretty much a continuously steep upwards journey, with only a few areas where it flattens out or dips. Regenerating forest – This lower forest is regenerating after past logging and fire damage. Ecotone area – The forest canopy now contains more beech. Red/Silver beech – This colder, wetter area is often under clouds and snow for short periods. Silver beech – The forest canopy is now almost completely silver beech. The old trees are stunted and gnarled, their trunks and branches often covered in mosses and lichens. Open ridgetops around Mt Climie – Most of the groundcover is a dense thicket of divaricating shrubs, Astelia species and Chionochloa conspicua. Source: See the ‘Mount Climie Track – Pakuratahi Forest’ brochure for more detailed explanations of these zones. 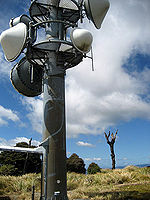 Eventually, after many false alarms, you catch sight of the communications tower on the summit of North Climie (830m). 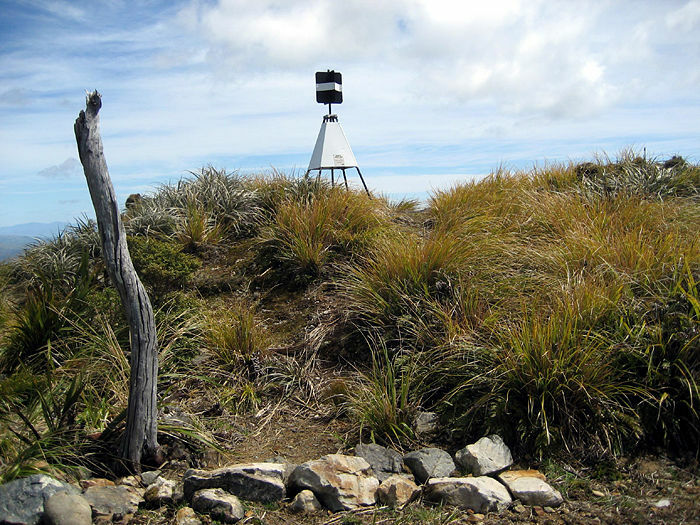 There is a trig here, and also keep an eye out for the solar powered GPS unit, which is quietly measuring any movement of the Rimutaka ranges. From the summit of North Climie, you can finally see (on a clear day anyway) your goal for the day, the summit of Mt Climie (or Climie No. 2). Follow the road for another 15 minutes up and down the ridge line, and you’ll arrive at the main Mt Climie trig, at 860m. You should allow about 2 hours to reach this summit from the carpark. Depending on the wind, you might find a more sheltered spot for a break further down the road towards the fenced service buildings. Take a few moments to poke around the various parts of the summits, as different views are available from all the different nooks and crannies. The journey back down to the carpark is of course going to be a little faster. Allowing for 2 hours up, 30 minutes at the summit, and 90 minutes down again, you’ll want to allow about 4 hours for this peak bagging expedition.